The News Corp. billionaire is threatening to pull his newspapers’ content from Google searches. Douglas Rushkoff on why it may take a real conservative to save journalism from the free Web. As unlikely as it sounds, Rupert Murdoch may end up being our last best hope for a peaceful solution to the Internet’s war on professional journalism. A man who many blame for commodifying, globalizing, sensationalizing, and cheapening news is considering taking a stand against a force even bigger than himself: the Web link. Murdoch is talking about more than simply charging for access to the online versions of his newspapers, which The Wall Street Journal and a few others have been doing successfully for years. Railing against “content kleptomaniacs” like Google, Microsoft, and Ask.com—which effectively syndicate News Corp. content without paying—Murdoch even suggested he might put up walls that prevent the stories in his papers from appearing in Google searches at all. By suggesting that he is ready to pull the plug on universally searchable news, he is inviting other publishers in the same position to consider taking the same leap. That’s right: Instead of rigging the system to achieve higher rankings in search returns, Murdoch is contemplating pulling his content from Google searches altogether—a simple tweak that Google says is available to every Web site. But as Murdoch’s News Corp. and most news organizations are now learning, sometimes Google can make it too easy for Web users to find their content. In their effort to get on board the Internet and cooperate with the notion that information wants to be free, many newspapers have transformed what had been their most profitable assets into liabilities. What good is a global audience if nobody is paying? Without revenue, the newspapers eventually go belly up. So, as New York Times reporters await word on who will be among the 100 more cut from the payroll in the next couple of months, the Writers Guild holds panels on how to eke out a living as a professional news writer, and the forums on Mediabistro fill with postings from journalists considering new career paths, it is time for someone to consider the alternatives to melting professional journalism into the always-on, always-free blogosphere. To be sure, the ascent of the free has been a boon for a lot of people. Millions around the world—well, at least the people with Internet connections—enjoy free access to pretty much any information they need, any time. But just as infinite access to free music ultimately leads to no one making a living at music anymore, free journalism just doesn’t pay for itself—particularly not when a search engine is serving all the ads. But what Murdoch understands is that a revolt against the free will take more than erecting a subscriber login between a Google link and a story. All the login does is push the user to find an alternative source for the information—some other publication’s free link. No, what Murdoch has realized is that a newspaper is not just valuable for the individual stories or tidbits that can be culled, piecemeal, from a generic list. A newspaper provides context. It tells a story through its selection of articles for a given day, their juxtaposition, and even their flow over time. By opening themselves up to immediate vivisection-by-search, news organizations invite the disconnection of their articles from their context and their source. And the more they encourage their content to be parsed in this way, the more they encourage readers to look at the work of their journalists as mere datapoints, isolated from a greater perspective. Like what ringtones are to music. When Rupert Murdoch first bought The Wall Street Journal, one of the few major newspapers charging readers for access, he suggested that he would soon remove the tollbooth in order to promote bigger readership and more ad views. Now, just a couple of years later, he is realizing that The Journal had it right, and ultimately protected the integrity of itself as a publication by keeping itself intact. And it’s not as if Google is in this merely for the public good. Google makes its money by keeping everyone else’s content open to its searches and the ads that are stacked up alongside them. A world of open content is a world that is open to Google. Sure, it’s hard to argue against the openness of a Google universe without coming off as dark, begrudging, and conservative as someone like, well, Rupert Murdoch. And as a professional journalist who nonetheless champions a “people’s” Internet, I am happy to compete against the thousands of amateur bloggers out there reporting and commenting on the same stories I do. But the competitive advantage professional journalism enjoys over the free is just that: professional journalists, whose paid positions give them the time and resources they need to commit more fully to the task. If we can’t do better, so be it. But at the current rate, we won’t have the opportunity to find out. Of course, Murdoch’s remarks are really just a trial balloon. He has initiated a conversation—but one that few of us are in a position to back up with a multibillion-dollar media empire. By suggesting that he is ready to pull the plug on universally searchable news, he is inviting other publishers in the same position to consider taking the same leap. I, for one, hope they do. 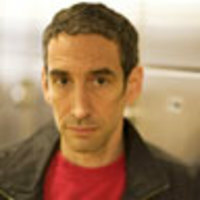 Douglas Rushkoff, a professor of media studies at The New School University and producer and correspondent for the PBS Frontline Digital Nation project, is the author of numerous books, including Cyberia, ScreenAgers, Media Virus , and, most recently, Life Inc. (Random House).